I was invited to stay for a weekend in Puddle Duck Cottage with my family, thanks to Puddle Duck Cottages. Puddle Duck Cottage is a beautiful country cottage in the peaceful surroundings of Jackfield near Ironbridge, Shropshire. It dates back to the Industrial Revolution, and is the perfect location for a relaxing staycation or visit to the UK. Ironbridge is famous as the birthplace of the Industrial Revolution, and there’s lots to see and do in the area around the cottage. I’ll be showing you some of my favourite things to do in an upcoming video and blog post. Puddle Duck Cottage sleeps six and its little sister Duckling Cottage next door sleeps five. Both cottages have everything you need for a self catering holiday, including a welcome pack of essentials. There is WiFi and a TV, but the cottages are a perfect location for a digital detox. Click on the video below to take a look around this gorgeous cottage. You’ll soon see why we really didn’t want to come home at the end of the weekend! 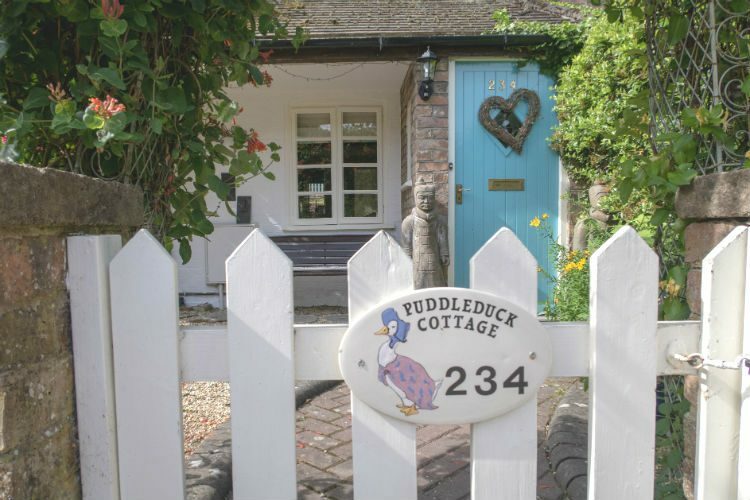 Visit the Puddle Duck Cottages website to see current pricing for Puddle Duck and Ducking Cottages, and to book your visit.